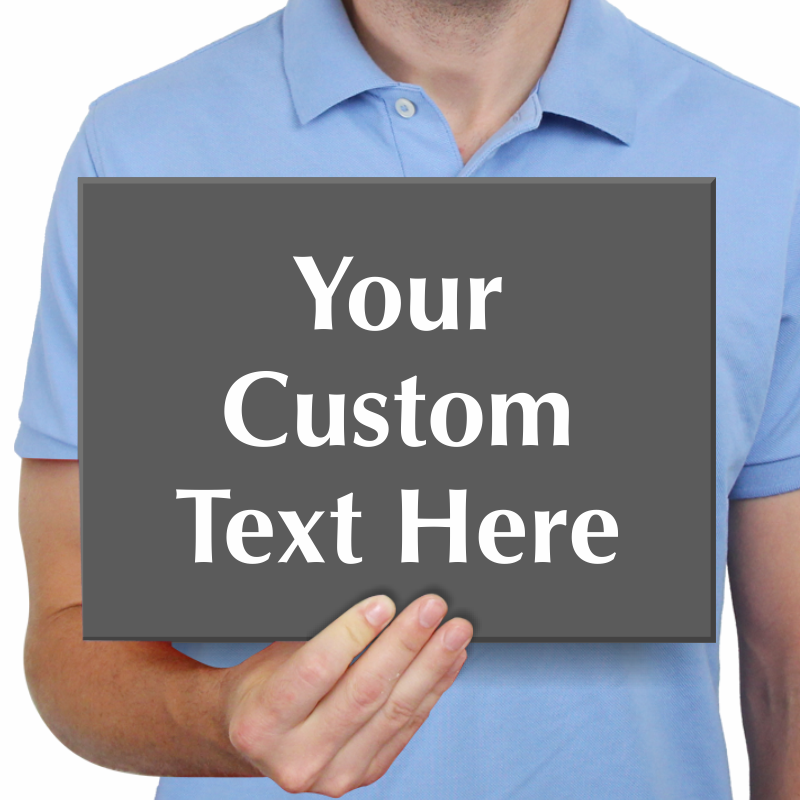 Browse our selection of custom plastic sign templates to build your own. In a variety of high quality, resilient and affordable materials, so you'll always find exactly what you need. 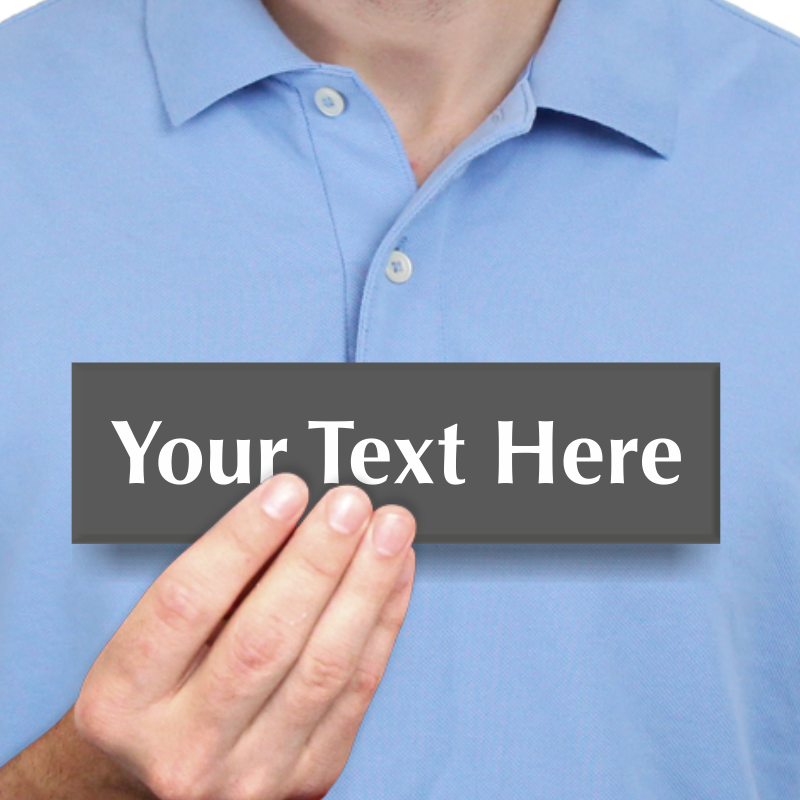 Durable inks and printing technology ensure that our signs won't fade (compared to many other competitor products). 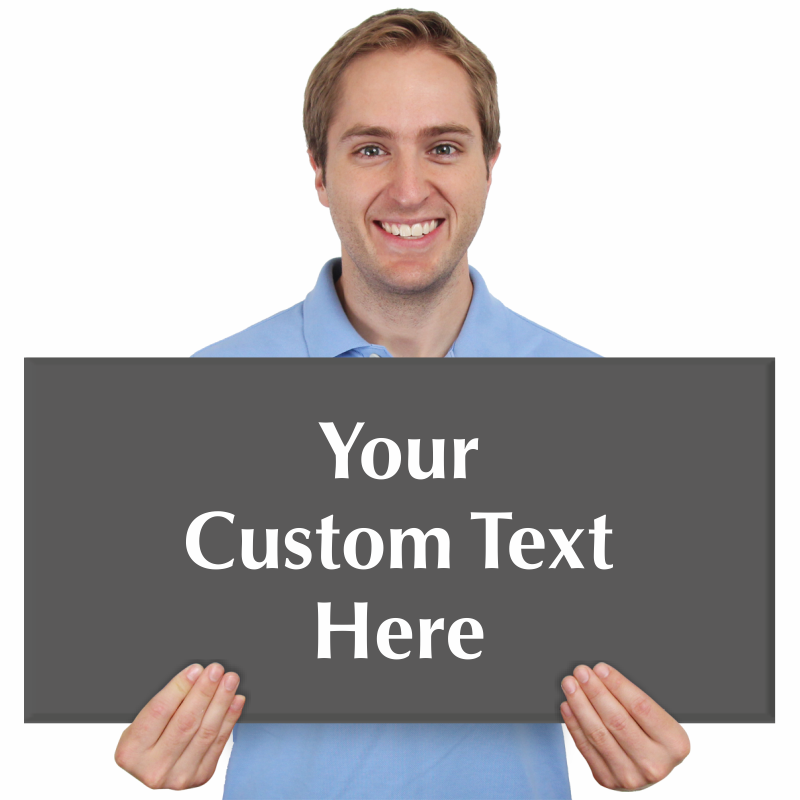 • Our premium ShowCase signs feature screen printed graphics underneath a thick acrylic plate. 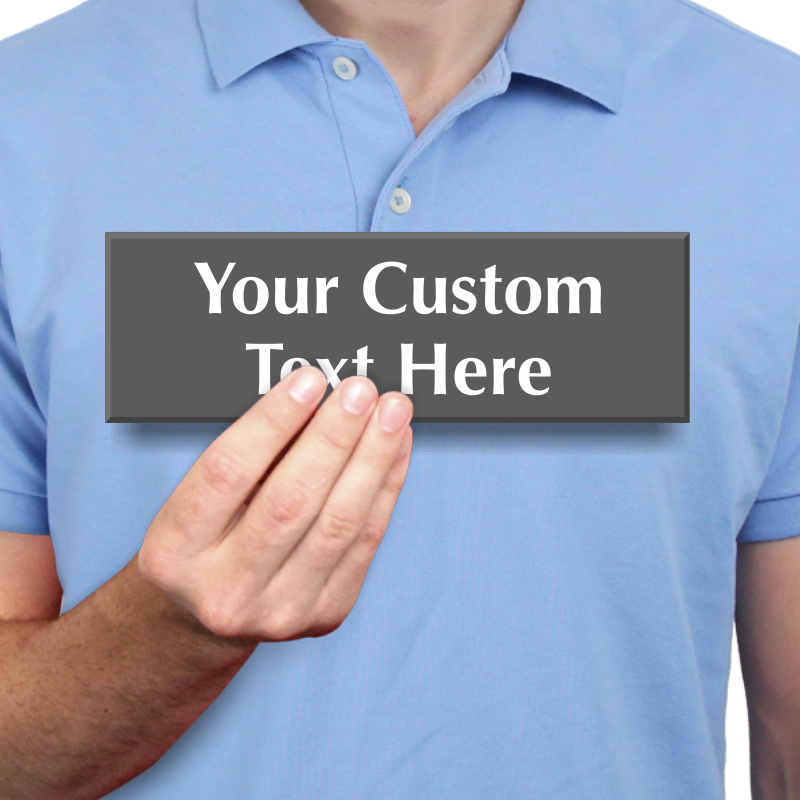 • Choose any color, from over 40 different sizes. 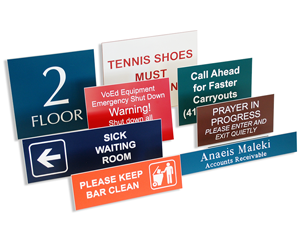 • Also available: above-the-door Corridor Signs, Control Room Plates or ADA-compliant Braille signs. 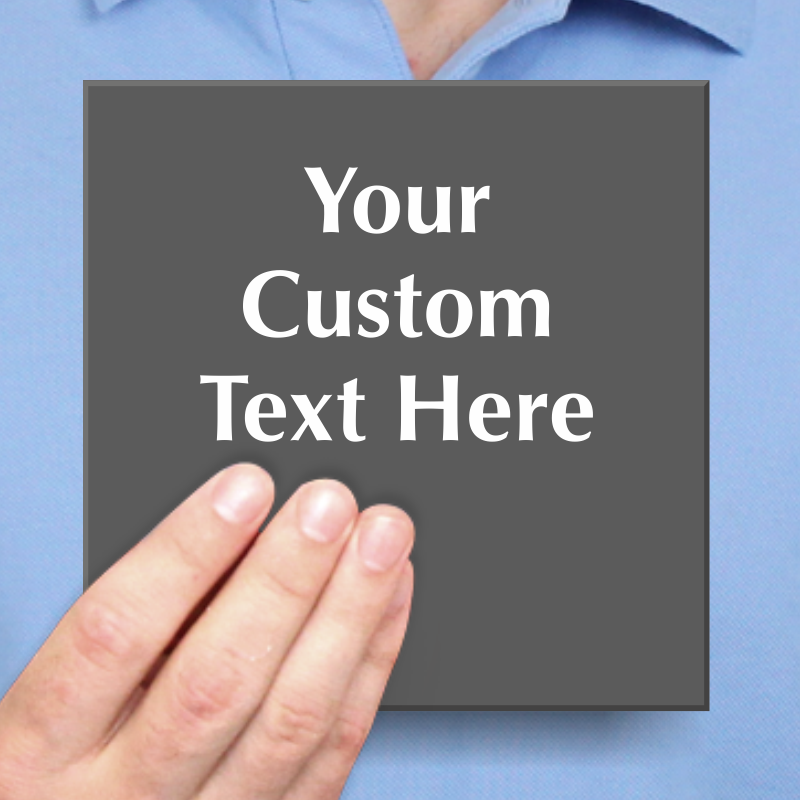 • Screen printed, subsurface graphics on a 1/8” thick acyrlic plate. • Two color options for these elegant plastic signs. 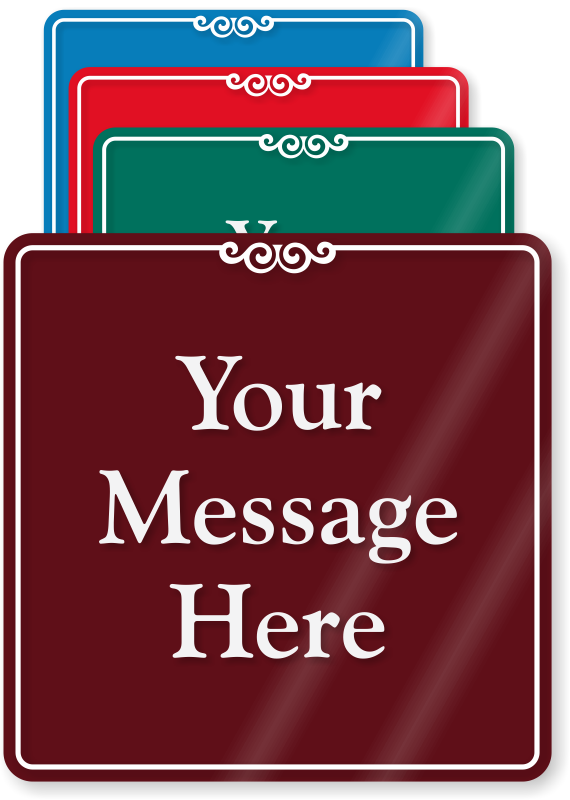 • In 40 different sizes, so you can make sure your sign fits. • 30 different colors to match your décor. Choose a color that gets noticed. 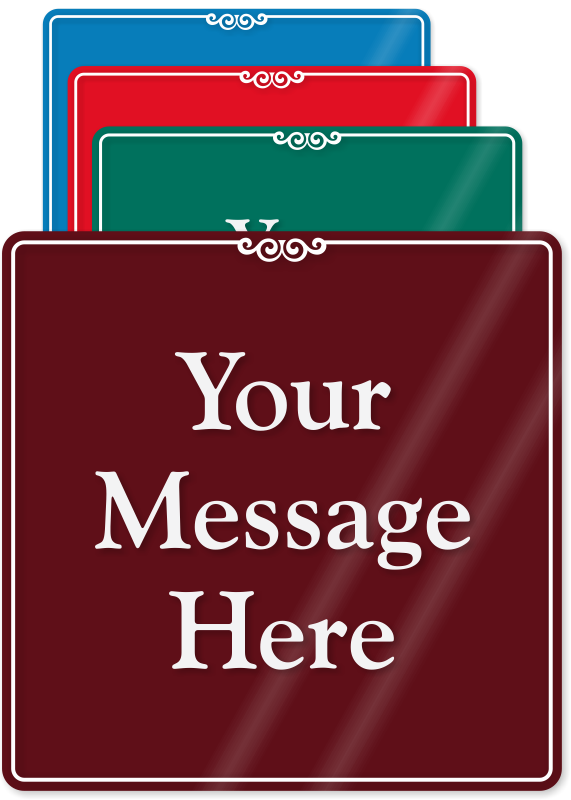 • Spot these helpful, 2-sided signs from both directions. • Great for hallways. Place above a door, and easily add a graphic. 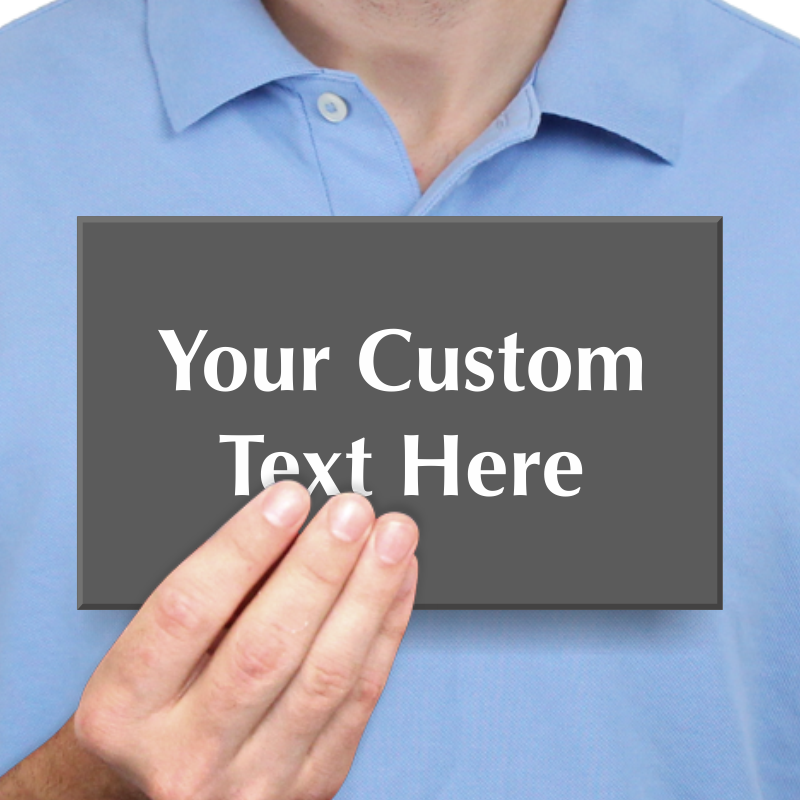 • Order one-of-a-kind engraved plates with an adhesive or screws. Variety of installation options. 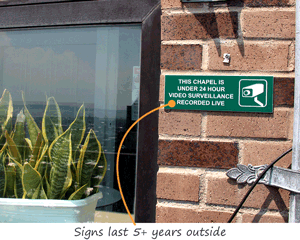 • Engraved plates identify switches. Got bunch to make everyone laugh at work. Great job on my custom sign. Meets the objective, perfectly centered and aesthetically pleasing. Good quality!